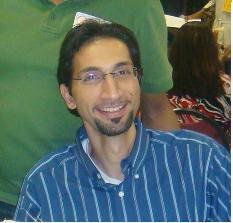 Dr. Noah Kasraie joined UIW in 2008. He comes from a business background with managerial and leadership experience in various organizations. Dr. Kasraie was born in Philadelphia, PA, and has lived in different countries and speaks multiple languages. He often travels around the world to present in conferences and conduct workshops. He has given keynote presentations in various international conferences and serves as a reviewer for many international journals. He is also the Chief Editor of the International Journal of Innovative Learning and Leadership. Dr. Kasraie was awarded the Provost Legacy Teaching Award at the University of the Incarnate Word. He was nominated 7 times for the Presidential Teaching Award. He was also awarded the Smith Award of Research in 2007. Online education and eLearning, leadership studies, organizational change and innovation. Coaching and playing soccer, traveling, cooking, and gardening.